We have an "Absolutely No B.S. 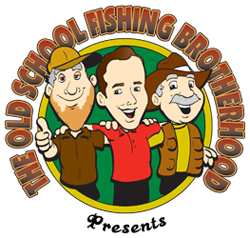 1-Year 100% Money-Back Guarantee" on the old school fishing courses. Yes, you read this correctly. A 100% 1-Year Money Back Guarantee is almost unheard of these days, especially on the Internet. But the bottom line for me is: most fishermen are straight shooters. And I'm happy to give fishermen (like you) a full year to try things out. From the day the package arrives at your doorstep: you’ll have 365 days to use every old school secret in the course to catch as many fish as you can. …and we'll issue you a refund on the spot. I can credit your credit card, send you a money order, or whatever method you prefer. We won’t ask any questions, and there’ll be no hoops to jump through. Just an immediate refund of every penny you paid. No B.S.